When we think of cabinets, kitchens and bathrooms immediately spring to mind. But in the last few years, cabinetry has evolved into exceptionally customized and unique storage solutions to various household needs that exist outside the kitchen. At-home workspaces are becoming more and more common as technology allows for remote work within many professional fields. In addition to home offices, hobbies are also creating a desire for an at-home workspace such as craft rooms or garage workspaces. With cabinets and a little design creativity, you can achieve a beautiful and functional style within any of these rooms. A home office is becoming one of the most coveted spaces in any house. Whether it’s a whole room or just a corner nook, you can find functional storage and design ideas for any unique space. Cabinets and drawers can be designed to double as filing cabinets, built-in desktop computer storage can easily hide an unsightly computer monitor, while glass doors and shelving with lighting can elegantly display awards, collector’s memorabilia and office decor. Pinterest has awakened the inner domestic goddess of women across the country, and those who are crafty and those who just wish to be both look at elegantly designed craft rooms with eyes full of envy. 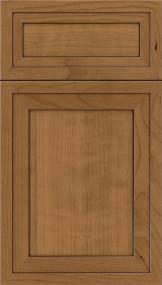 Creating your very own creative space that is both practical and beautiful can be done easily with the variety of cabinet designs and styles available today. With a sizable counter space to use as a work surface for your craft projects and an abundance or organizational features to store your craft supplies, you’ll be able to craft a custom space that’s the perfect incubator for your creativity. Pull-out drawers, wall-mounts, built-in waste baskets, and open-shelf storage are just a few of the options that can be incorporated into a custom craft space. The simple concept of a small workbench in the garage has expanded into a full-on workshop in many modern homes. The resident handyman can have the workspace he’s always dreamed of without cluttering the garage, and even use cabinetry that is functional and doesn’t leave the space looking terribly industrial. Let’s face it, sifting through mason-jars and coffee cans full of loose nails and screws is not an organization strategy. It’s a nightmare. You can create an organized workshop area that you deserve with wall-mounted cabinets that feature a multitude of organizational options for tools both large and small. Custom configure your own shelving, hooks and storage bins exactly the way you want. Additionally, build in easily accessible power outlets for all of your electric work tools and eliminate the annoying (and sometimes dangerous) extension cords. 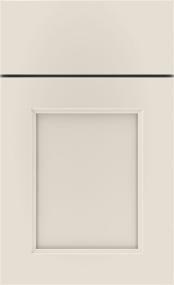 ProSource Wholesale carries a variety of cabinet styles to suit any need in any room. Scan the product catalog for cabinet options and add those you like to your myProSource Project Center. Then contact your local ProSource Showroom, whose experts can help you.